I notice that several Blogger blogs that I visit on a regular basis, have reintroduced A captcha. This entry was posted in Blogging and tagged Blogging, captcha on September 29, 2014 by Grannymar. I don’t think I put anyone through this torture. I hope someone will let me know if I do. I find WP people much easier to visit, especially you. You’re easy GM. Dianne, you use a WP template. These problems happen with Blogger blogs. The one above is ridiculous. 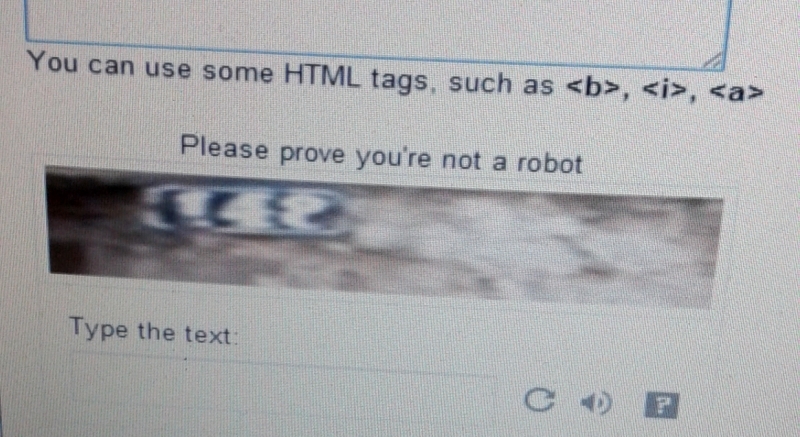 The other day, I had to change five times before I managed to get a captcha. Those things drive me bloody nuts !!!! John they are getting worse! I click on the refresh icon, sometimes it gives a clearer or different image. The trouble is it takes from the pleasure of commenting. I hate those, but without them, I get a lot of spam comments. Judy, it seems to be an increase on all the blogger blogs at the moment. I don’t like them either, but was getting hundreds of spam comments, so had to go that way. Brighid, can you report it to blogger? Maybe they need to do something about their filters.